The Metricon Homes team has four homes showcased in the North Harbour Display Village: The Fortitude 32, The Phoenix 38, The Vantage 45 and The Chelsea 33. Metricon is one of Australia’s most popular builders and has been creating innovative, world class homes in Australia for over 40 years. The team is dedicated to designing homes which offer sophisticated features, open plan spaces and the ultimate in indoor/outdoor living to suit the Australian lifestyle. Metricon designs are also very sought after for families who are looking to accommodate a requirement for intergenerational living. Why buy two houses when your whole family could live comfortably and happily together in one fabulous home? Read on to review the designs Metricon is showcasing in the North Harbour Display Village. Capturing perfectly the current trend towards larger single-storey homes, the Fortitude is a great choice for multi-generational living. Everyone gets their space with a huge rumpus room to the rear and a living area up front. The North Harbour display features the grand outdoor option letting you enjoy the outdoors under cover and in comfort. The Phoenix 38MR is a luxurious two-storey home design with lots and lots of space, suitable for both young and intergenerational families. The home features a huge open plan living area downstairs at the rear plus a private study and formal sitting room. The bedrooms, all zoned to the first floor include a spacious master suite with full sized ensuite and large walk-in-robe. A second study area and leisure room on this floor means there is plenty of space for the whole family to make their own. The Vantage provides the utmost in luxury and space with a large layout offering an expansive light filled living ground floor and fabulous comfort upstairs. The Vantage 45 includes two study areas, a formal living area, family and leisure rooms together with a stunning contemporary kitchen with superb butler’s pantry for extra preparation space and storage. The kids’ bedrooms are zoned to the first floor along with a grand master suite with dressing room/walk-in-robe and opulent ensuite. This is a home that offers plenty of space and flexibility for a growing family as well as excellent opportunities for comfortable intergenerational living. The Chelsea by Metricon combines everything you would expect in a family home – heaps of space, a large kitchen with walk in pantry and a private master suite at the rear of the home. Not to mention the all-important outdoor entertaining room to take advantage of the Queensland outdoor lifestyle. With three separate living areas there is plenty of space for everyone to enjoy and make their own. To find out more about Metricon Homes at North Harbour click here or contact us. North Harbour has been very pleased to welcome many residents looking to downsize into a brand-new home. Our downsizer residents have the experience of owning homes which gives them greater insight when building – they know what they want and don’t want. Many of our downsizing residents say one of their key reasons for choosing North Harbour is an opportunity to enjoy an active lifestyle into retirement. Our proposed 1000 acres of open space (over half of the entire development) and parklands offer plenty of options for recreation. 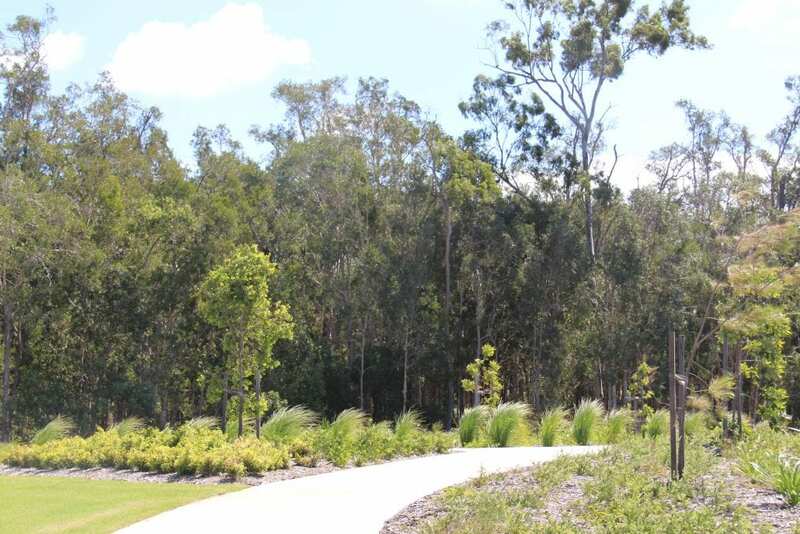 Our first park, the Village Park, opened in October 2015 at the end of Moreton Bay Boulevard. It incorporates two areas of play equipment to suit both older children and pre-schoolers and has free Wi-Fi, shelters, drinking fountains (for people and pets) and BBQs on 6000m2 of beautifully landscaped space. Our second park opened in late 2017. 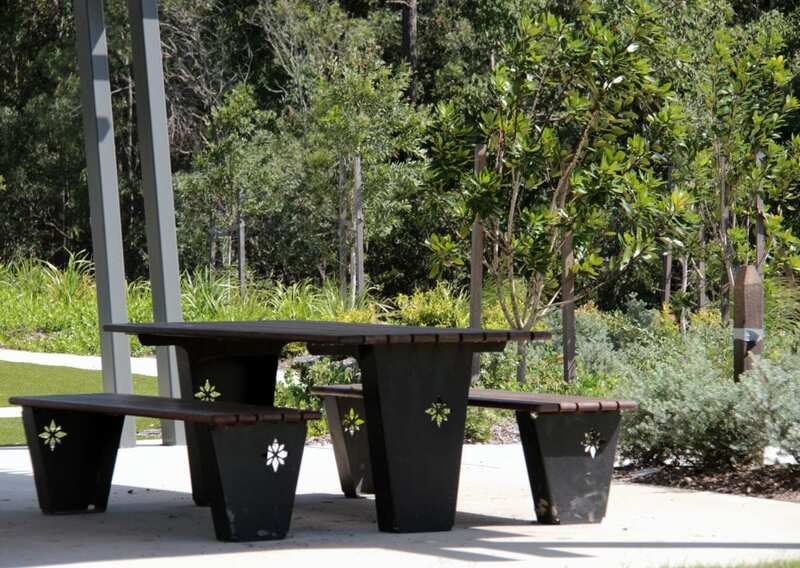 Named Reflections Park, it is located on the south-western side of North Harbour near the Raff Creek Environmental Corridor it includes play equipment aimed at young children (different to the Village Park to give residents and visitors lots of choice), BBQs and shelters. Reflections is the home of our free weekly Sunrise Yoga in the Park class every Sunday morning at 7am. Later this year we will be adding outdoor exercise equipment in fitness stations which will provide our residents with the opportunity for free workouts in beautiful surroundings. We have several blocks currently available to suit downsizers with easy access to walkways and cycle tracks. To find out more about our land for sale please contact us. That’s it for this week, please note that our Sales & Information Centre will be closed on Wednesday for Anzac Day, April 25th. Have a good one!